Where the Milky Way shines so bright, it literally casts your shadow! The Milky Way shines so bright at Cherry Springs State Park, it literally casts your shadow! In most places, people can only see a couple of hundred stars, but here, you can see thousands! 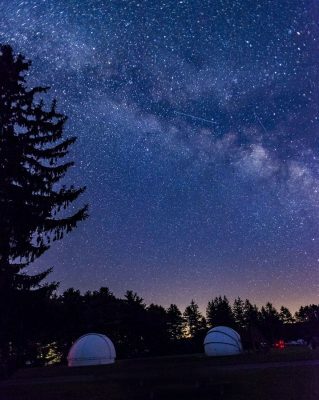 It's been named the best place on Earth (yep, the whole planet) for stargazing by the Travel Channel and has been designated a Gold Level Dark Sky Park by the International Dark Sky Association. If you would like to come out and enjoy the magnificent night sky at Cherry Springs and only wish to gaze for a few hours, you may do so at the Night Sky Viewing area located north of Rt. 44 (opposite the gated Astronomy Observation Field). Public parking lots are located here along with several information kiosks and waysides. You may follow the walkway out to the public program area where benches are located and you will be shielded from passing vehicle lights. There is also a backlit summer sky map wayside located on this pathway. Press the button at the lower side of the display to activate the red light. Familiarize yourself with all the great regional attractions and experiences. Reserve shuttle service and / or a guide for an enhanced experience. Plan ahead by checking the moon phase. Dress for cooler weather at the park even in summer. Bring only a dim red light - you'll see MORE! Stargazing at Cherry Springs is a stellar experience; but don't forget there are many daytime activities to enjoy before the nighttime show. Be sure to plan your trip to include other great area attractions and experiences. 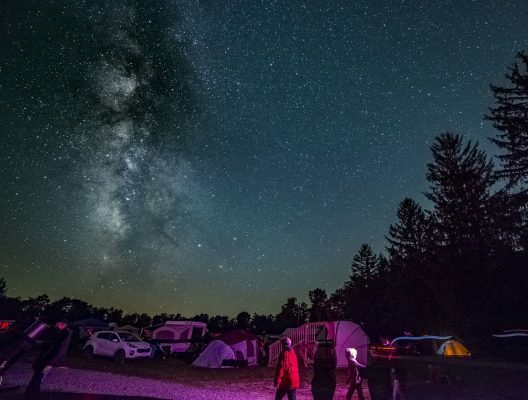 Lodging is limited near Cherry Springs State Park - be sure to consult our places to stay page before you arrive and make your lodging reservations. Shuttle service to the park is available with reservations. 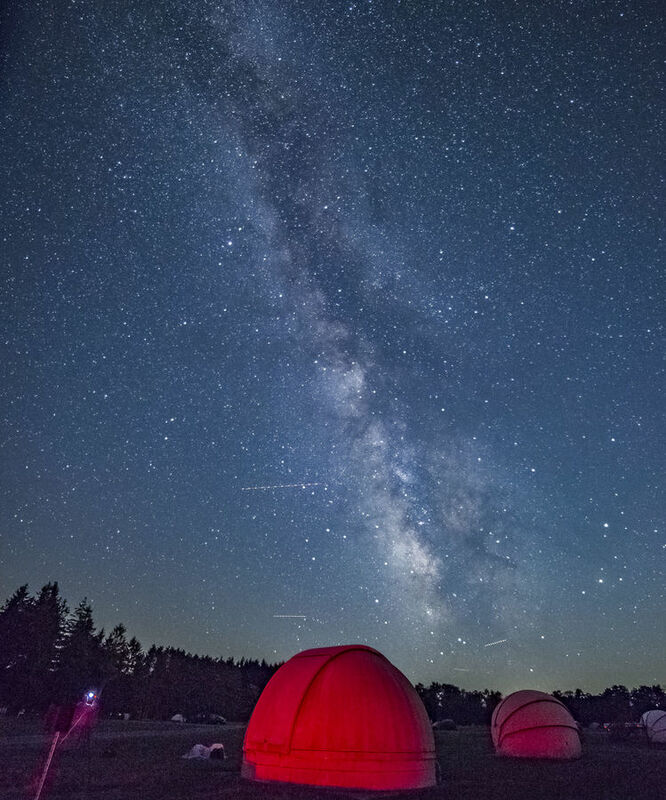 Guided night sky tours are available with reservations. 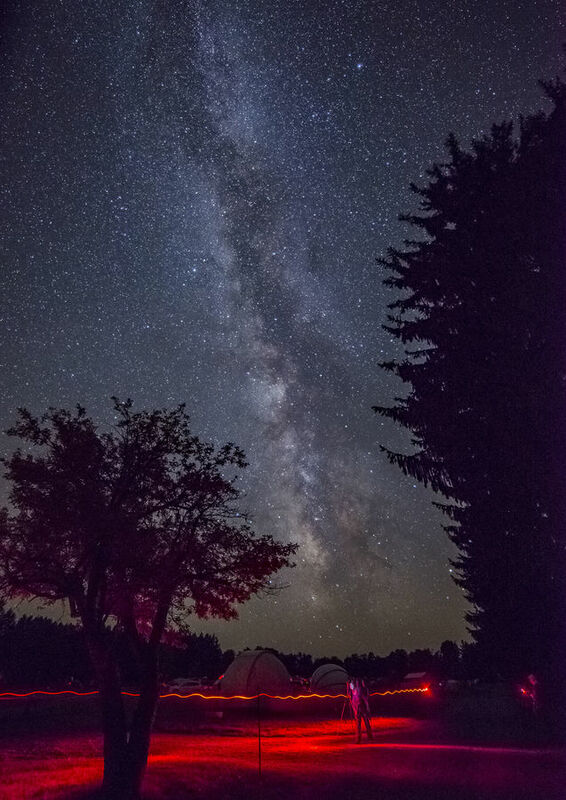 Visit during last quarter or new moon timeframes to see the true dark skies and the milky way. Observing the moon when it's near first quarter is great for novice telescope owners. While the full moon limits the experience for some, it is still amazing to witness. 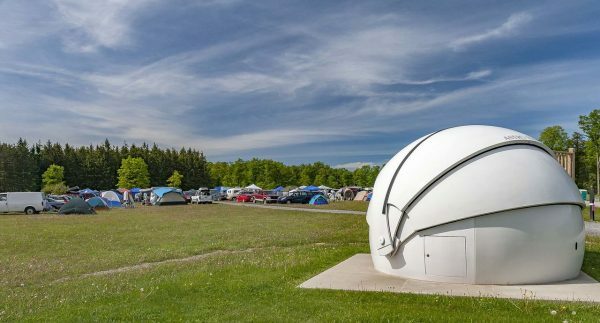 Book your stay early, especially on popular weekends near the new moon or special events. Bring an old-fashioned map in addition to your navigation system. Services are limited near the park. Towns nearby offer fuel, food and lodging. Even in the summer, pants and a sweatshirt are usually needed later in the evening. Avoid full-sized flashlights or even smart phone flashlights. Adapt smaller flashlights with red cellophane available at the park welcome kiosk. Smart phones should also be adapted with red cellophane. Use the lock screen as your light when it's dark. Even clouds will prevent observing, so check specialized observing forecasts such as the Clear Sky Chart (below). Become familiar with park facilities and where to observe. Use headlights when driving at all times after dark in the parking area. Safety first. For safety and a better experience, avoid observing in the parking areas. A special overnight area is also available for those with a telescope and staying overnight. Find out more about this option prior to visiting on the park webpage. Many programs fill in advance or require registration. Scheduled programs will be cancelled in the event of rain or thunder. Programs will be shortened or adapted on cloudy nights. The Clear Sky Chart is an astronomers forecast. At a glance, shows you if the skies will be cloudy or clear for the next two days. A prediction of when Cherry Springs will have good weather for observing. To get started reading the chart, all you need to know is that dark blue is the best on all lines, but pay most attention to 'cloud cover' since white on that line means it's overcast or even could be raining. As you become more familiar, you can even notice when the moon will rise by looking closely at the 'darkness' line. This will help you make the most of your visit, but remember, a forecast is just that. Sometimes, they're right and sometimes nature surprises us all!